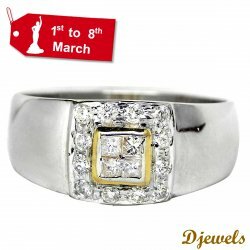 Djewels is India's Largest Online Diamond Jewelry Shopping Website with Thousands of Stunning Designs. All our Jewelry comes with a Certificate of Authenticity from well reputed International Gem Labs. We are Manufacturer & Exporter of Diamond Jewelry, Diamond Jewellery, Diamond Rings, Diamond Earrings, Diamond Bangles, engagement rings, wedding jewelry, bridal necklaces, bridal jewelry, new delhi, karol bagh.